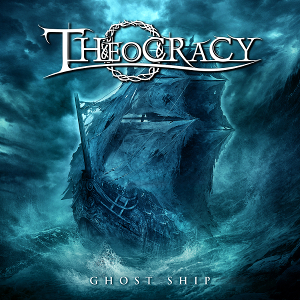 Greek Progressive Power Metal act THEOCRACY has released their fourth album “Ghost Ship” through Ulterium Records on October 28th in Europe and North America. Now the Japan edition will be released through Bickee Music on November 9th. The album features 10 powerful new songs that showcase the epic, heavy and melodic sound the band is known for, and was produced, engineered and mixed by Matt Smith, mastered by Vlado Meller. The cover artwork was done by Felipe Machado Franco (Blind Guardian, Rhapsody Of Fire, Iced Earth), and the art direction and design by Samuel Durling (Crimson Moonlight, Evergrey) from Sweden as same as the previous some albums. On this album, Shawn Benson plays drums. 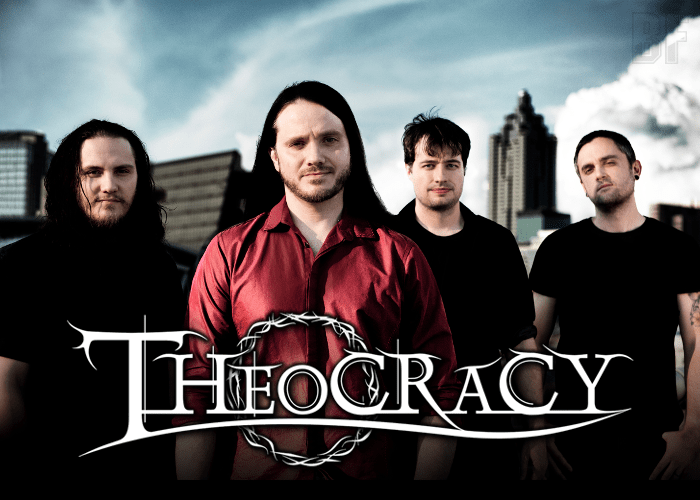 Originally THEOCRACY started as a one-man project by Matt Smith, and is characterized by huge choruses, epic arrangements and progressive elements. With “Ghost Ship”, THEOCRACY perfects the lively and fully-realized sound of “As The World Bleeds”, delivering muscular and streamlined tracks that never lose focus and combine for one memorable journey. Each song stands alone and has a unique signature, but every moment sounds unmistakably like THEOCRACY.